Magda Wegrzyn is a visual artist, doctoral researcher and independent curator born in 1986 in Poland. In her works she deals with connections between visual perception, technology, and communication. She is currently a DFA researcher at the Faculty of Fine Arts at Nicolaus Copernicus University in Torun, Poland, where she obtained her M.A. In 2013- 2014 she was a visiting DFA researcher at the Finnish Academy of Fine Arts in Helsinki; In 2010, she studied at the Accademia di Belle Arti in Palermo. 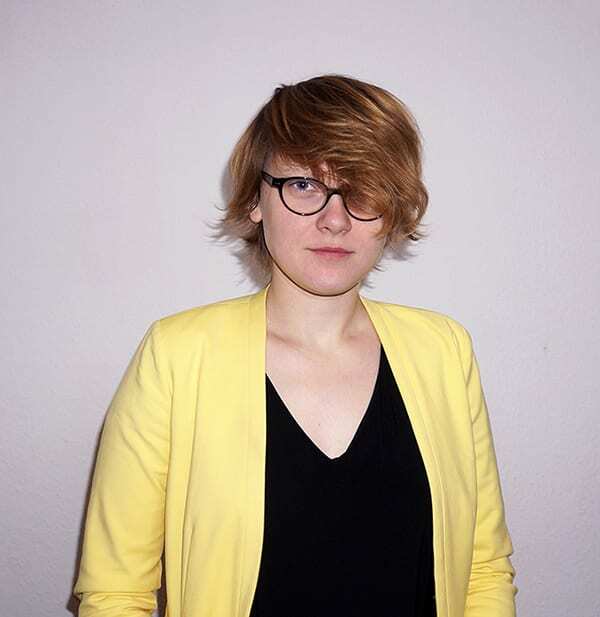 She collaborated with the Center of Contemporary Art in Torun, Poland (2012) and was honoured with a CIMO Fellowship and a Scholarship of The President of Torun, Poland in 2013. Magda also held the Marshal of The Kuyavian-Pomeranian Voivodeship Artistic Scholarship (2012 and 2010). She has participated internationally in various solo and group exhibitions.